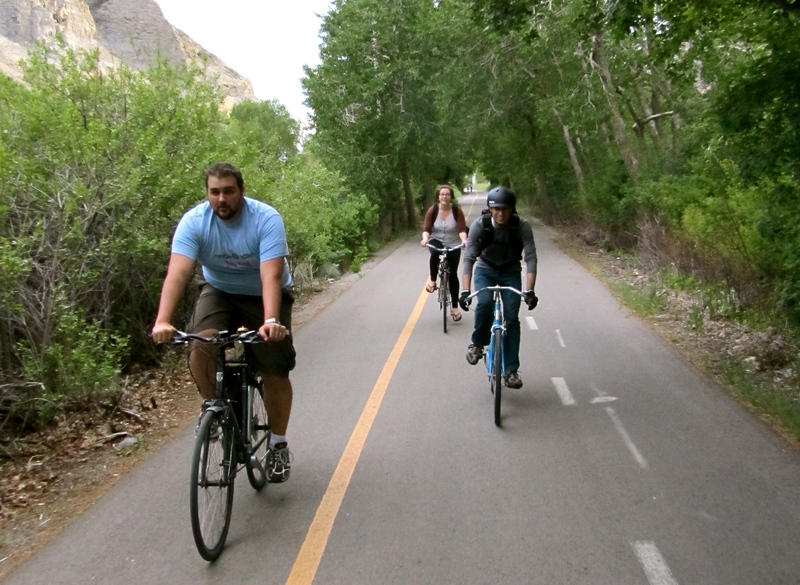 Today&apos;s featured trail is one of my personal favorites, the Provo River Parkway Trail. This trail winds through Provo Canyon alongside the Provo River, and then continues through Provo City before ending at Utah Lake State Park. This paved trail is great for walkers, runners, bikers, rollerbladers, and longboarders, and is ranked #4 on the list of "20 Best Bike Paths in the West" by Sunset.com. The trail begins at Vivian Park in Provo Canyon, and is a hot spot for bikers and longboarders because of the gradual decline. The trail passes through several city parks in the canyon, and nature lovers will enjoy the tall, pine-tree covered mountains that surround them. 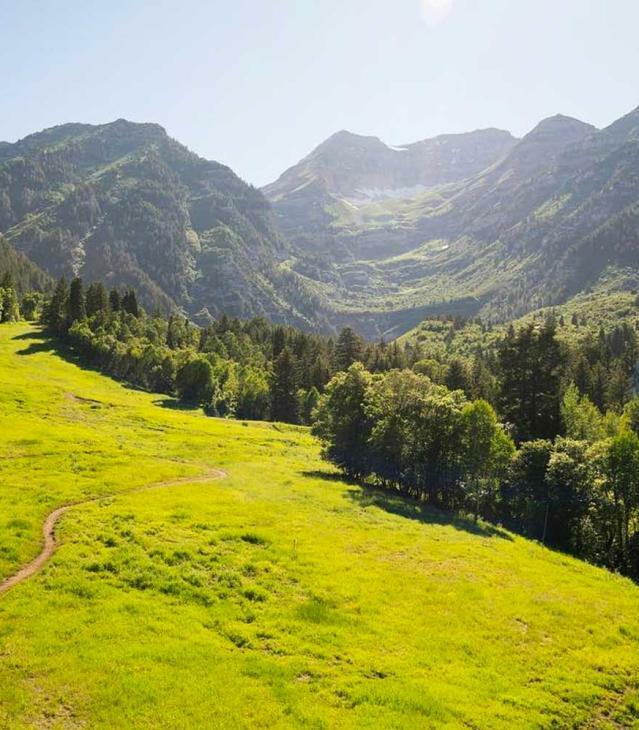 Add in the relaxing, bubbling sound of the Provo River as it meanders through the trees, and you&apos;ve got yourself a trail that anyone will love. The trail exits the canyon alongside University Avenue, where it crosses over the river and continues into Provo City. This section of the trail is great because it is divided into two separate lanes for runners and bikers. The Provo Parks division does a great job of maintaining the grounds on this part of the trail, and I personally love the green, manicured grass and trees. If you&apos;re a biker, then I would suggest starting your ride in Provo Canyon, coasting down into Provo, and then following the trail all the way to Utah Lake—it&apos;s about an 18-mile ride in total. If you go to the trail, I would recommmend going on a weekday, as the trail can get a little crowded on the weekends. That being said, the trail is plenty wide (16 feet across in the Canyon) so there is always plenty of room for everyone. Water, restrooms, and picnic areas are also available at several different locations. The trail is great for a date night, family outing, or even just to get away from it all. Make sure to visit the Provo River Parkway soon—I know you&apos;ll love it!